This embroidered cuff 100-percent white sheet set dresses up the bedroom. The beautiful silhouetted leaf embroidery design appears on the 4-inch cuff with green thread. 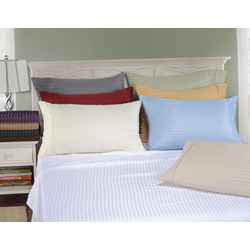 Bedroom decor is greatly enhanced with these durable yet soft microfiber sheets in a subtle striped pattern. Wrinkle-resistant, the sheets neither shrink nor fade with minimum care. These fleece sheets provide the ultimate in a warm sleeping experience. 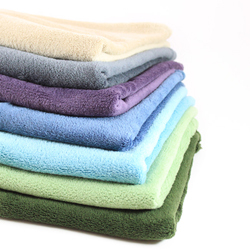 Very soft, comfortable and luxurious, the knit microplush sheets are available in several color options. Enjoy a cool and comfortable night’s sleep with exceptionally breathable sheets that have a silky soft feel and a lustrous finish….